Set amidst the mountains, this ski-in/ski-out apartment building in Falls Creek is within a 15-minute walk of Falls Express, Falls Creek Country Club, and Falls Creek Alpine Resort. Rocky Valley Lake and Rock Valley Dam are also within 2 mi (3 km). Located in the mountains, this ski-in/ski-out apartment building in Falls Creek is within a 5-minute walk of Falls Creek Country Club and Falls Creek Alpine Resort and close to winter sports such as cross-country skiing and skiing lessons. Rocky Valley Lake and Rock Valley Dam are also within 2 mi (3 km). Situated in a national park, this bed & breakfast is within 2 mi (3 km) of Falls Express, Rocky Valley Lake, and Rock Valley Dam. Falls Creek Country Club and Falls Creek Alpine Resort are also within 3 mi (5 km). This family-friendly Falls Creek aparthotel is located in the mountains, within a 10-minute walk of Falls Creek Country Club and Falls Express. Rocky Valley Lake and Mt Beauty Visitor Information Centre are also within 20 mi (32 km). Tucked away in the Australian Alps in the state of Victoria, 230 kilometres northeast of Melbourne, is Falls Creek, It’s Australia’s only ski-in, ski-out village, which means there is often enough snow to ski all the way into the village. You might end up doing a lot more skiing than walking here, and that’s a good thing because the slopes of Mount McKay are awesome for beginners and intermediate skiers alike. You’ll be enjoying the runs and the view of other snow and tree-covered hills, many leading down into the Rocky Valley Reservoir below. 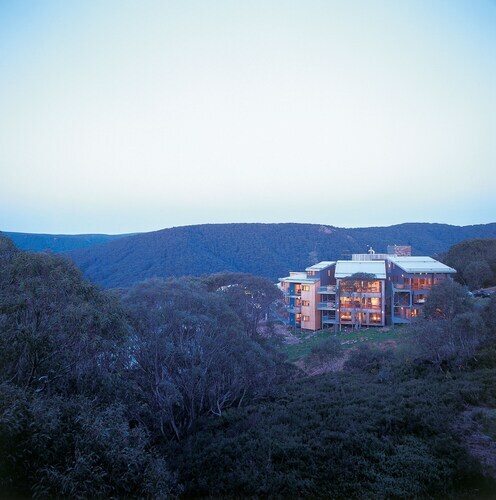 At the end of each day, tear down the mountain and into one of our Falls Creek hotels. As you might imagine, the summer months are stunning in Falls Creek, but the snowy winters are when the village and resort really shine. There are 14 lifts with over 92 runs and 21 cross country trails covering the resort’s two sides, so there’s enough skiing for everyone. Gentle slopes leading down into town can be found on the Village Side, which is perfect for beginners. Advanced skiers should head to the south-facing Sun Valley Side’s black runs to test out their skills. Falls Creek has the right restaurants and bars for some great après ski (after ski) shenanigans, just like any ski resort worth its salt. You won’t miss a meal – maybe adding in a few extra ones – with the dozens of eateries here. They all know how to refuel hungry skiers too, with German food, steaks, seafood, pizza, and plenty of beer or wine, or whatever you like. For afters, mozy on down to the bars which stay open til late, letting you socialise with the locals. If you travel here by bus, they will drop you off on the main road, and you should come with snow boots in winter in case you have to wade through thick snow. Either have money on hand to pay for the taxis or stay in one of our central hotels. Falls Creek is between Melbourne and Canberra, so hop on a flight to Melbourne or flight to Canberra. 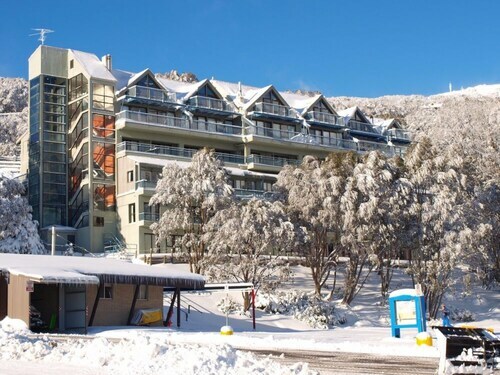 Book your Falls Creek accommodation with us, because you won’t want to miss out on this popular skiing destination. How Much is a Hotel Room in Falls Creek? Hotels in Falls Creek start at AU$180 per night. Prices and availability subject to change. Additional terms may apply. 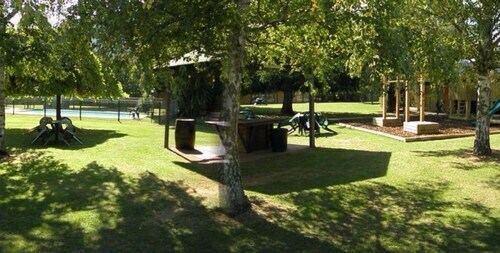 This Motel backs into paddocks and Wilderness, so if you have rooms at the back it is Super quiet at night, not a sound. Also the curtains are heavy and have Pelmets over them so it is dark in the rooms, you can sleep like a rock, past Sunrise. I loved my small studio apartment...it was clean and the king sized bed was very comfortable. There were generous breakfast provisions and Brett was friendly and helpful when I asked about local walks. The hot tub was amazing with multicoloured lights! I would love to stay there again.